Gardening Tips - Eaglesham T.R.E.E. 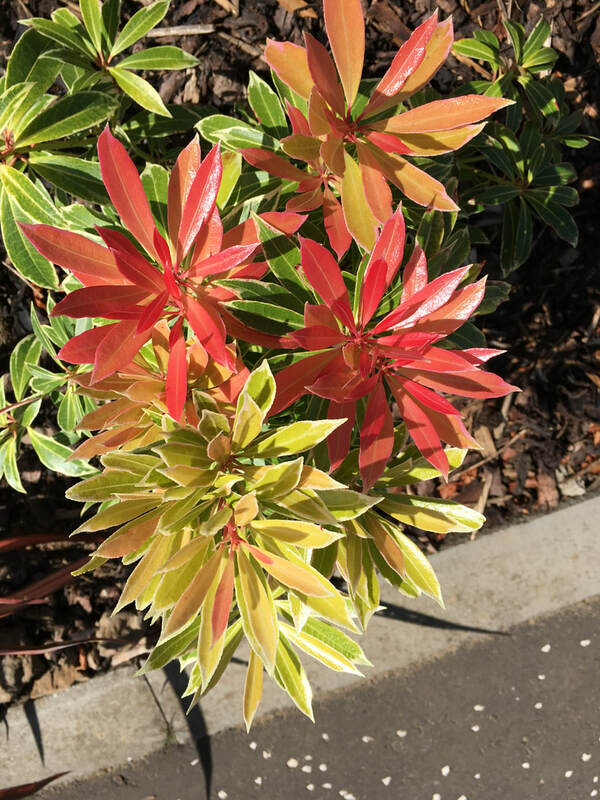 ​We decided earlier this year to plant The Townhead Bed (at the junction of Polnoon Street and Montgomery Street) with a good percentage of permanent planting. Some of the perennial plants included in the scheme are listed below. 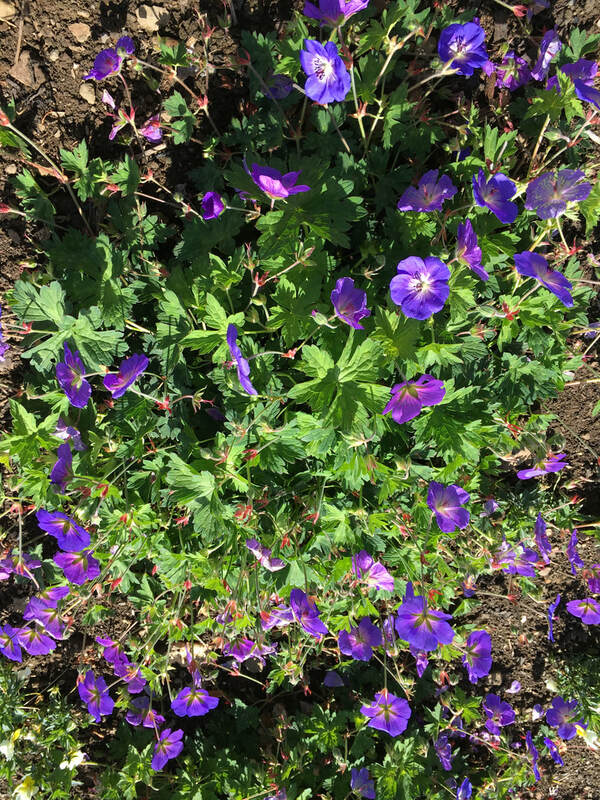 A vigorous spreading perennial with violet blue flowers which open from early spring to early autumn. A deciduous plant, it dies back over the winter, then starts growing again in the spring. Silvery grey, evergreen leaves with an abundance of white flowers in spring and early summer. 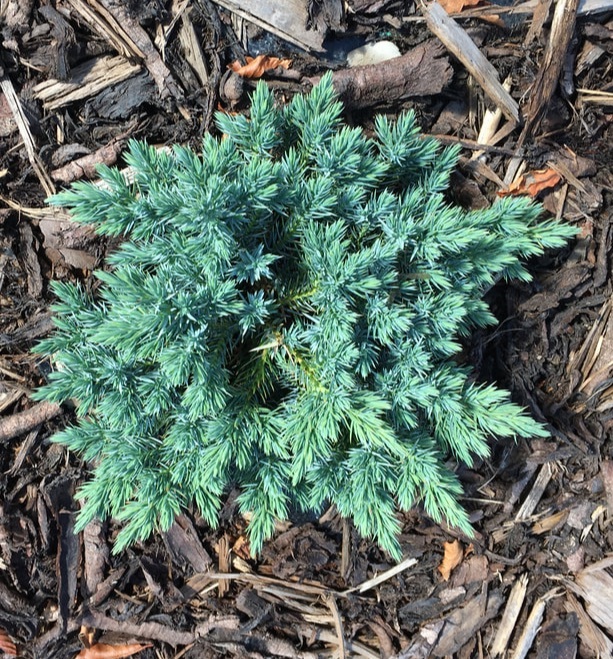 A conifer with bright blue/grey foliage and a compact growth habit. 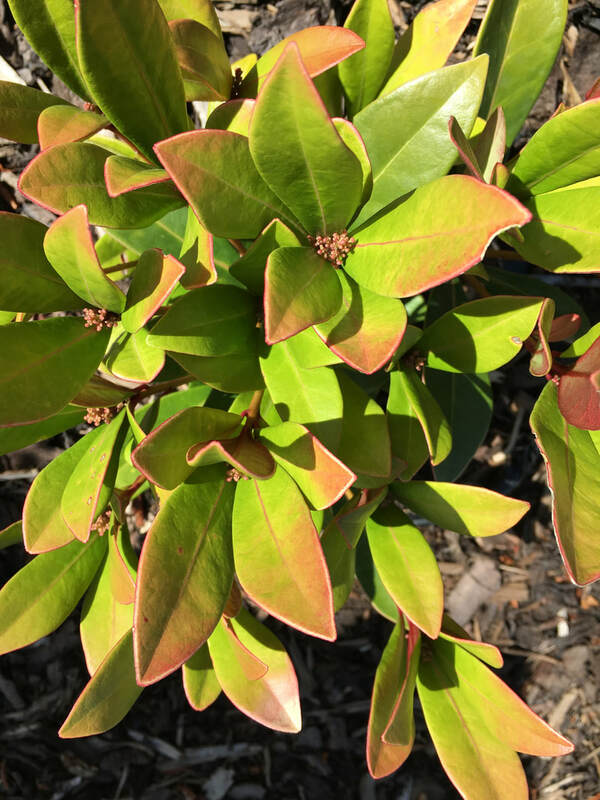 Erect, evergreen shrub with bright red young foliage, becoming green with bold margins of silvery white. Creamy white bell shaped flowers are produced in branching clusters in spring. 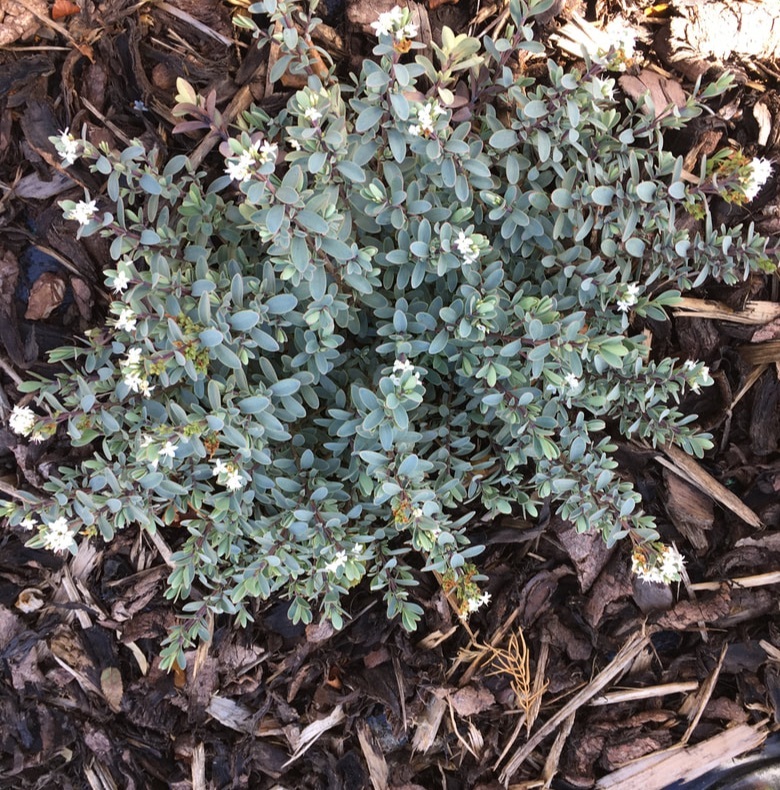 An evergreen shrub with red buds in winter followed by scented white flowers. The cup symbol on a plant's label shows that the Royal Horticultural Society has given a seal of approval that the plant performs reliably in the garden. If you used a slow release fertiliser in your baskets and pots earlier in the year it is probably now running out. A weekly feed and regular dead heading should keep your containers looking good. Tomato plant food is just as effective as some of the more expensive feeds and will keep your flowers blooming.